With the Oscars set to air this Sunday, movie fanatics are gearing up for this year's tribute to the films and the stars that make so many intriguing stories come alive. Movies are such a great escape that we willingly give a few moments of our undivided attention to immerse ourselves in another world. They teach, they entertain, they move. I admire the craft of writing, acting and direction and all that goes into building the mood and the tone of a film: location, set decoration, lighting, costume, cinematography, editing and sound. Every bit a delicate balance. 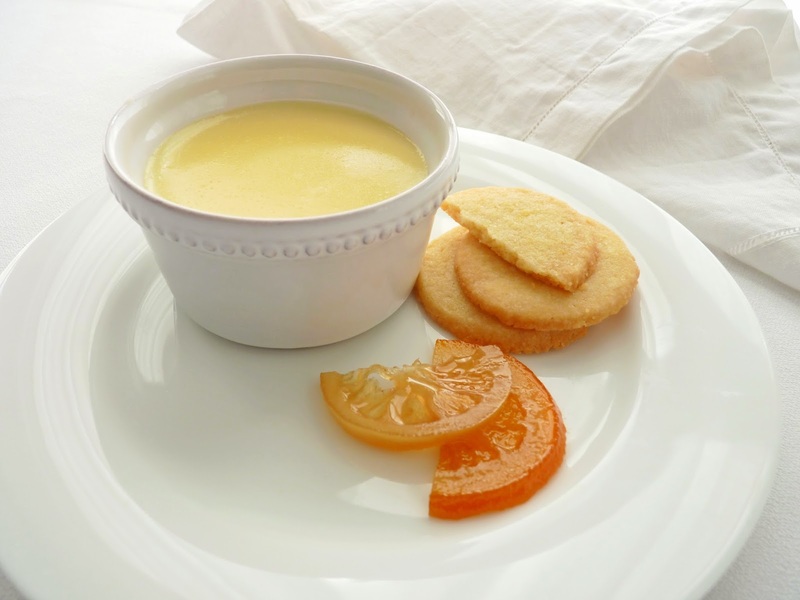 In great contrast to the drama and elaboration of the silver screen, this Vanilla Pudding is a very unassuming dessert. That is not to understate its elegance and beauty. 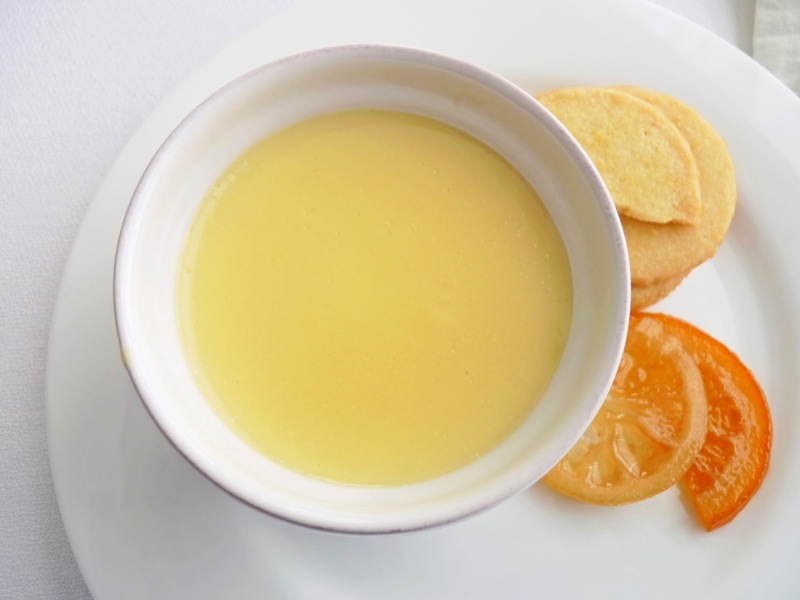 It has a quiet subtlety and simplicity that impresses on the first sumptuous taste. Every now and then I like to get back to basics. There aren't a lot of ingredients or embellishments in this pudding: fresh milk, sugar, cornstarch, salt, eggs, a little butter and a good vanilla, all in their own delicate balance. The preparation takes about 15 minutes or so. 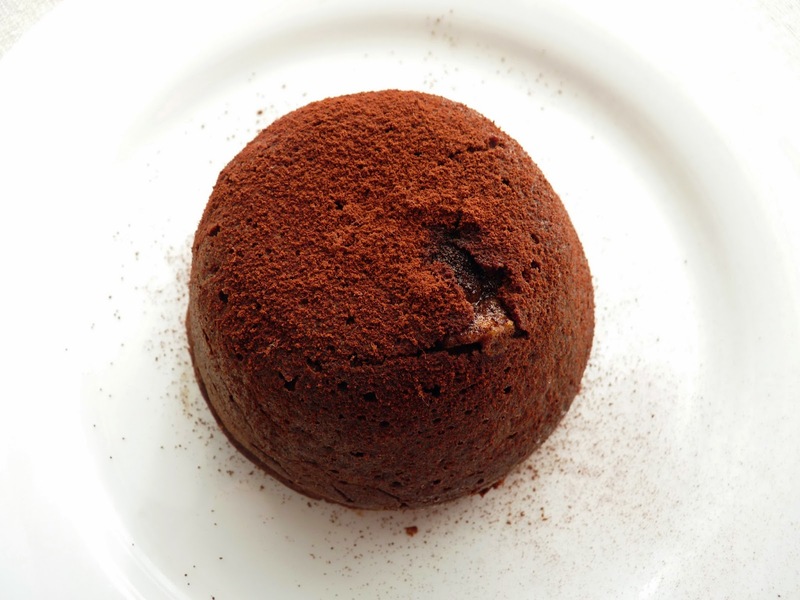 Then the puddings cool to a creamy consistency and you're in for a sublime dessert. So let's celebrate the movies, enjoy our popcorn and, for dessert, grab a spoon. For all its deliciously rustic and spare quality, this, too, is worthy of the spotlight. - Don't skimp on the salt. It's necessary to enhance the flavor of the milk. - For a richer hit of vanilla, use 1/2 vanilla bean instead of the vanilla extract. To maximize the vanilla bean flavor, split the pod and work the seeds into the sugar with your fingers rather than simply adding them directly to the milk. This helps ensure they get evenly distributed. Place the vanilla sugar along with the vanilla pod in the saucepan with the milk. Once the pudding is cooked, remove the pod before adding the butter and vanilla. - I like to keep the heat on my gas stove at medium low for more control. If the pudding is cooking too fast, just lift the pan off the heat to settle it down and be sure to lower the heat. - When stirring the pudding over the heat, switch to a heatproof rubber spatula or flat-bottom wooden spoon. As you're stirring, make sure you're covering the entire bottom of the pan to keep a thick coating from forming and scorching. A whisk doesn't scrape the bottom of the pan in broad sweeps well enough to keep the mixture moving. A whisk also creates a lot of air bubbles, which can make it difficult to see the thickening process. - This pudding doesn't form a thick film on top but if you want to avoid any skin from forming, keep stirring it as it cools to break up the protein or press a piece of plastic onto the surface. - Always use unsalted butter for pastry and desserts unless otherwise noted. I'll start noting "unsalted" in my posts. 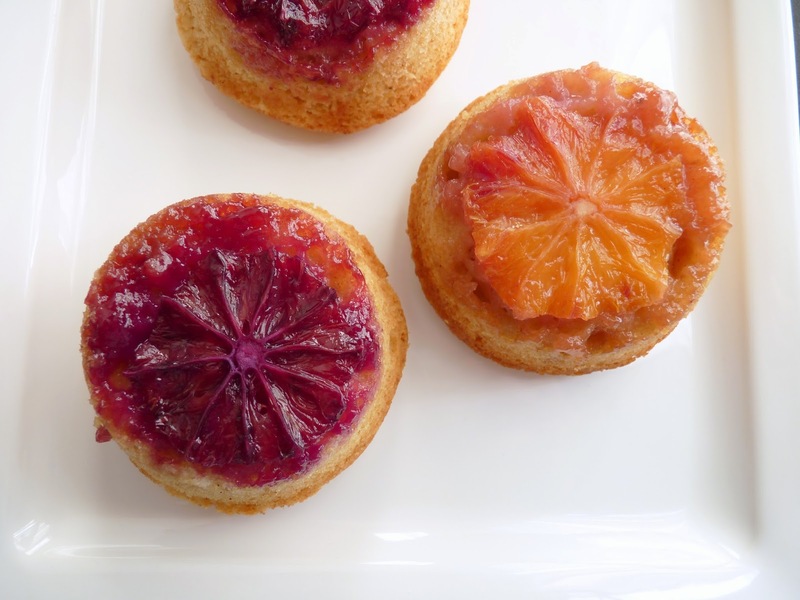 - The candied citrus in the photos is from the recipe for Olive Oil Cake with Candied Orange (as explained in the first bench note at the link). The cookies are Plain Jane Cookies from my ecookbook, The Global Pastry Table, pasties & desserts with international style for the modern kitchen. Whisk together the cold milk, sugar, cornstarch and salt in a saucepan and set over medium low heat. Switch to a heatproof rubber spatula or flat-bottom wooden spoon and bring the mixture to a simmer, stirring constantly. When a light foam begins to form around the edges, cook for 3 minutes, stirring constantly, until thickened. Take off the heat. In a separate bowl, whisk the egg yolks to break them up and slowly add about 1/4 cup of the hot milk mixture, whisking constantly until thoroughly combined. Add the remaining milk and blend. Pour back into the saucepan and return to medium low heat. Using the heatproof rubber spatula or flat-bottom wooden spoon and stirring constantly, bring to a very slow boil and cook for 2 - 3 minutes until the mixture is thickened. The pudding is ready when it coats the back of the spoon and a finger traced through it leaves a clean track. It will thicken more as it cools. Remove from the heat and add the pieces of butter and vanilla. Stir until smooth. 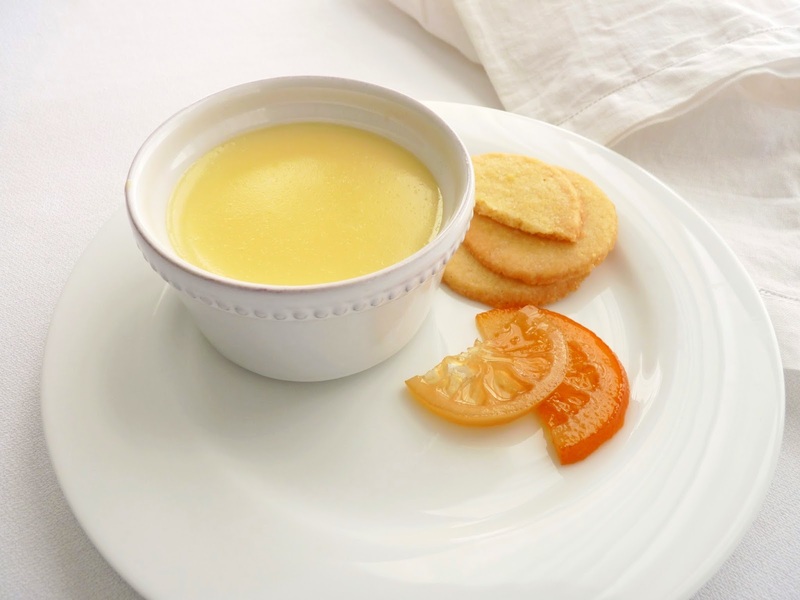 Pour into four ramekins or a bowl to cool. Serve warm or refrigerate for about 2 hours to chill. Bar cookies are the easiest to make and never fail to deliver a great chewy texture. The idea for this type of pastry probably started in the late 1800s with recipes for brownies and fig newtons. 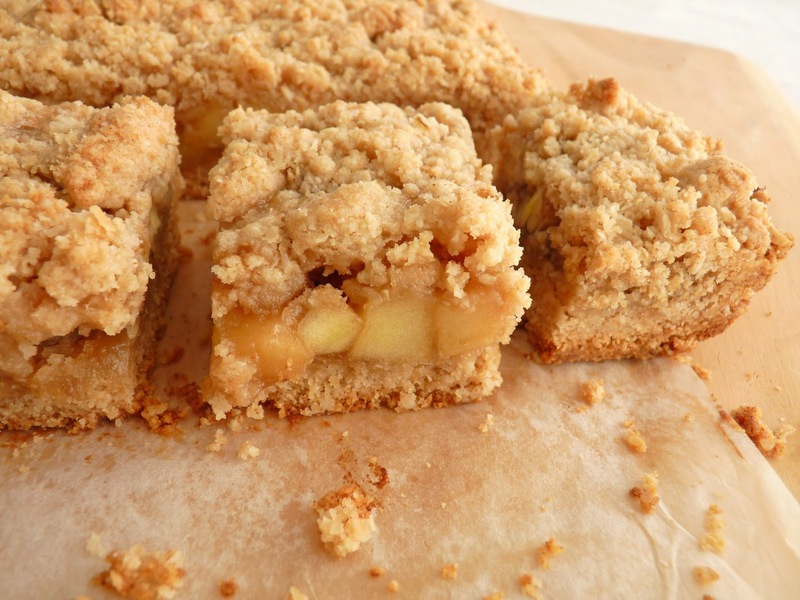 I especially love bar cookies that reveal a wonderful layer of fruit for added flavor and moisture. They become not quite cookies anymore but rather more like delicious little bites of pie. Apples are an obvious perfect candidate for this treatment. I like to use Fuji apples in my pastry kitchen. They're crisp and sweet and hold up well to baking. Introduced to market in the early 1960s by growers in Fujisaki, Japan, the Fuji is a hybrid of Red Delicious and the old Virginia Ralls Genet. They've really gained in popularity in the United States with new types being grown in Washington, California, Michigan and New York. 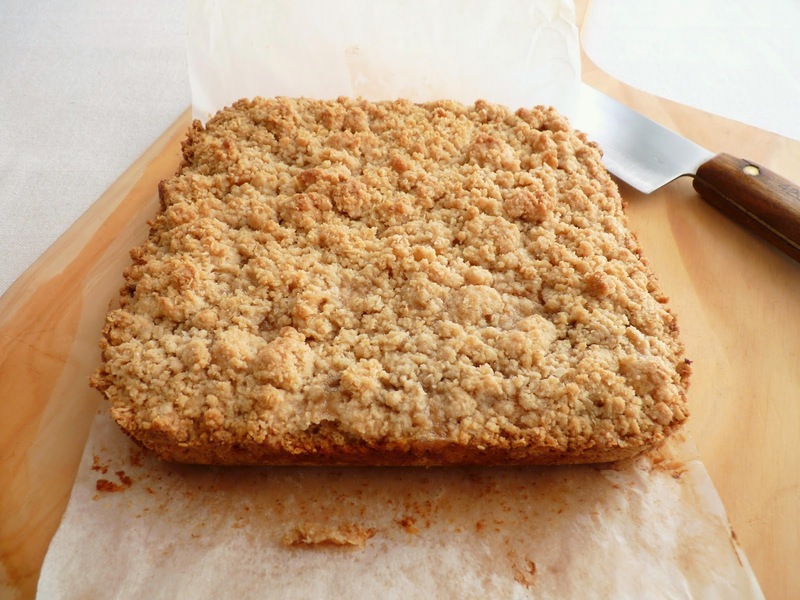 These squares have the feel of winter comfort food. You might also think of them as comparable to slices of Dutch Apple Pie. I've simmered the apples in an easy brown sugar toffee sauce for extra pleasure. A little flour, some oats, a dash of cinnamon and vanilla combine with cold butter to form an easy dough that gets prepped in a food processor. In a few minutes, you can have a kitchen filled with an incredible aroma. Just the thing to brighten your day. On another note: Many thanks to all who nominated Pastry Studio in the preliminary round of Best Sweets & Baking Blogs at The Kitchn. You're the best. Nominations end midnight EST on Friday, February 21. Then voting on the ten finalists begins Saturday, February 22 - midnight EST on Wednesday, February 26. Winners will be announced Friday, February 28. If you haven't visited The Kitchn, do check it out. They've got lots of great kitchen ideas, tips and recipes. - I used Fuji apples for the filling but Braeburns and Galas would also be great. - The dough will be crumbly and not smooth but it should hold together when pinched. You want to press 2/3 of it into the bottom of the pan, add a layer of filling and then sprinkle the remaining crumbs over the top. - I baked these in an 8" square pyrex baking dish so my bars may have baked a bit faster since glass is a more efficient conductor of heat. If using a metal pan, bake until you have a nice golden brown color on the topping. 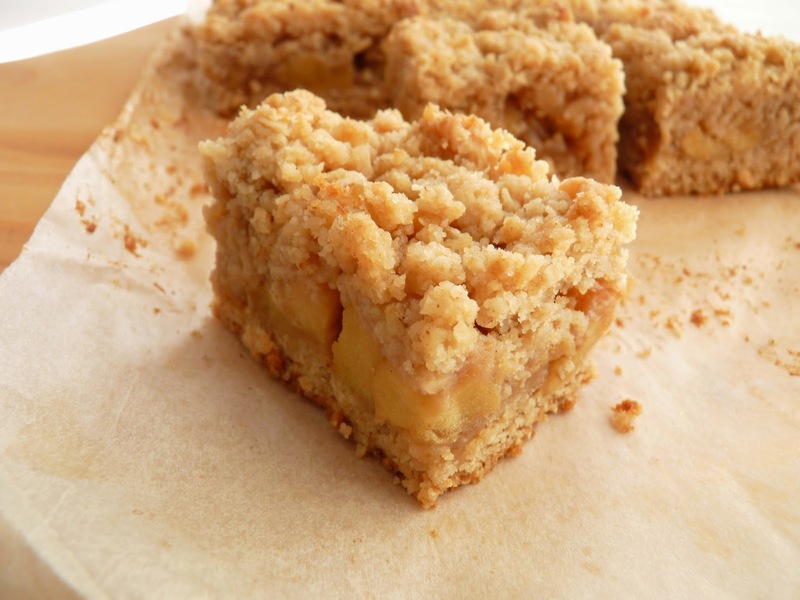 - If you're a bar cookie aficionado, try Cherry Crumb Bars and Fig & Chocolate Oatmeal Bars. Preheat oven to 350 degrees. Lightly grease an 8" square baking pan and line the bottom with a piece of parchment long enough to form an overhang along two sides of the pan. Peel and core the apples and cut into 1/2" cubes. Set aside. Place the brown sugar and butter in a pan large enough to hold the chopped apples in a single layer. Bring it to a slow boil over medium low heat, whisking constantly. Take off the heat and add the cream, vanilla, lemon juice and salt, to taste. Add the chopped apples and toss to coat evenly with the sauce. Return the pan to medium low heat and cook, stirring frequently, until most of the sauce is absorbed and the apples are a bit tender. Take off the heat and set aside. Cut the cold butter into 1/2" pieces and add to the dry ingredients along with the milk and vanilla. Process until the mixture starts to collect in soft clumps. It should look a bit loose and crumbly but hold together when pinched. Press about 2/3 of the dough into the prepared pan to form the bottom layer. 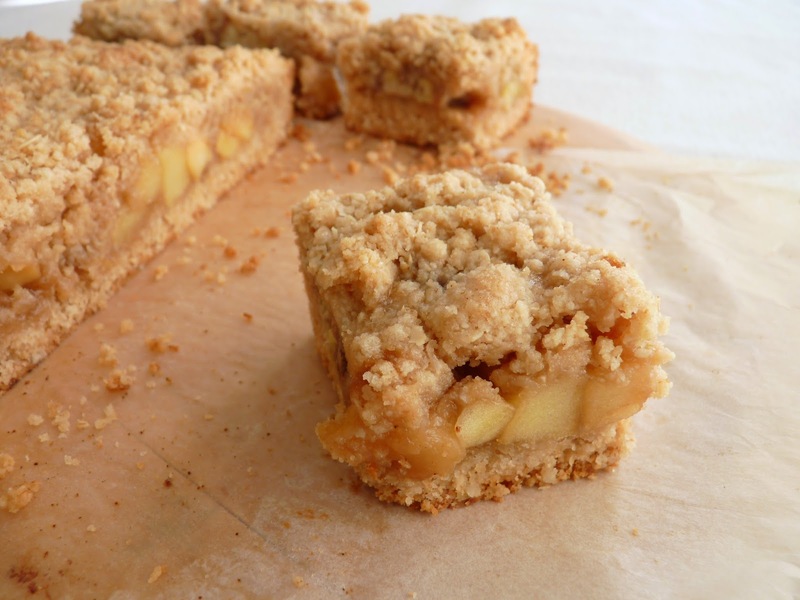 Distribute the apple filling evenly over the surface, leaving a 1/2" border on all sides. Top with the remaining dough crumbles and press gently along the edges to seal. Bake until golden brown, about 35 - 40 minutes. Place the pan on a wire rack to cool completely. Gently lift out of the pan using the parchment overhang to assist. Cut into bars. 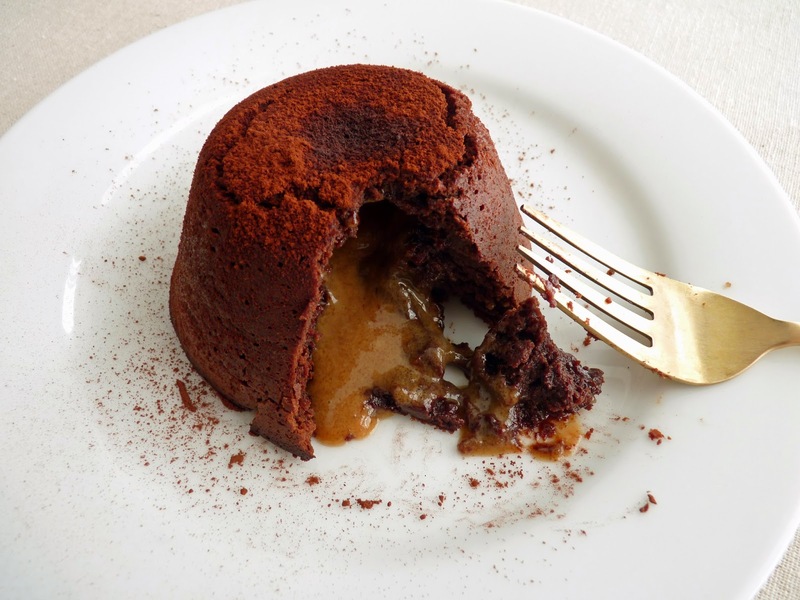 Lava cakes were in fashion in the 1990s and appeared frequently on upscale restaurant menus as part of of trend toward unbridled chocolate decadence that began in the 80s. As Americans gained better access to premium chocolate, we went from enjoying standard chocolate layer cake to a proliferation of chocolate soufflés, flourless chocolate cake and the heavenly French puff pastry, pain au chocolate. 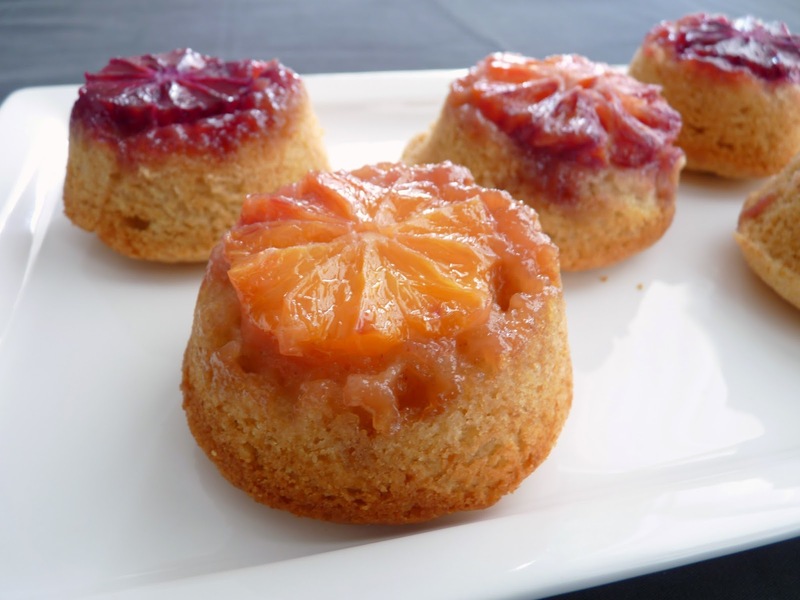 Although you don't often see these little cakes with the gooey chocolate center served at many places anymore, they are still wonderful to enjoy whenever you want a bit of delicious drama at your table. This is a recipe from Food & Wine that I've revised just ever so slightly. Instead of using all granulated sugar, I've used half granulated and half dark brown sugar for more moisture and a richer caramel flavor. I've also added 1 teaspoon of vanilla and a slight pinch of cinnamon for more depth. 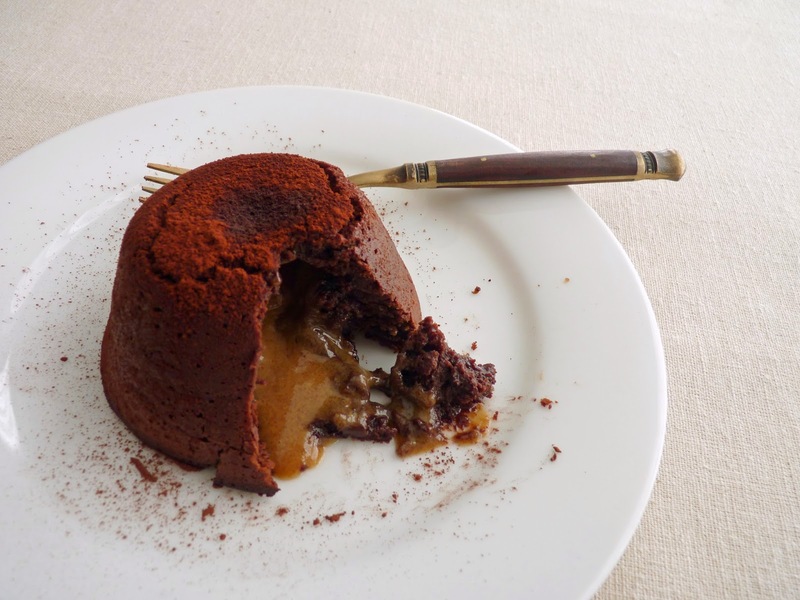 Depending on the density of the cold caramel sauce you use, you may have a lava center or the caramel may blend into the center of the cake. Not to worry, either way, they are extremely delicious. This a melt-in-your-mouth warm cake and a very lovely way to savor the wonders of chocolate. - I got 6 servings instead of the 4 stated in the recipe. I used 6 oz (3.75" diameter) tapered ramekins. - Resist the urge to add more than 1 teaspoon of caramel in the center because it may cause the cakes to fall apart. The caramel should be cold and solid. - I like these with dark bittersweet chocolate but they're also delicious with semisweet (54%) if you prefer. - If you're using a hand-held mixer, it may take more time to get the egg and sugar mixture to thicken and ribbon. - I baked the cakes at 400 degrees for 13 minutes. They should be puffed and starting to crack on the surface and mostly dry around the edges. A toothpick inserted closer to the edge should release with moist crumbs attached. It's important to bake them for the right amount of time or they will be either too gooey or too dry. Check them after 12 minutes. If they're too moist, bake 1 additional minute and then check them again. I set my timer and keep checking at 1 minute intervals until done. - Let the cakes cool for about 5 minutes before unmolding them so they have some time to set up and come out in one piece. - To finish, I dusted the cakes with dutched cocoa powder for its milder flavor and rich dark color. - The cakes would also be nice with a dollop of whipped cream flavored with vanilla or brandy or served with a scoop of vanilla ice cream. - Food & Wine also adapted this recipe for a raspberry filling and a peanut butter filling. I haven't tried those. You can also use Nutella. Preheat oven to 425 degrees F [I baked them at 400 degrees]. Grease four to six 6 oz ramekins with a thin coat of softened butter. Combine the 2 teaspoons cocoa powder with 1 teaspoon flour and dust the ramekins on the bottom and sides. Tap out excess and place ramekins on a baking sheet. Finely chop the chocolate and cut the butter into 1/2" pieces. Place in a heatproof bowl with the butter on the bottom. Set the bowl over a pan of an inch or two of barely simmering water, making sure the bottom of the bowl isn't touching the water. Stir to combine until melted. Remove from heat and set aside to cool. Whisk the flour, salt (and cinnamon, if using) in a separate bowl and set aside. Place the eggs, both sugars (and vanilla, if using) in the bowl of a mixer with a whisk attachment and beat at medium-high speed until thick, opaque and tripled in volume, about 5 minutes. Using a rubber spatula, fold in the melted chocolate until no streaks remain. Gently fold in the flour mixture. Scoop 2/3 of the batter into the prepared ramekins, then spoon 1 teaspoon of cold caramel into each ramekin. Sprinkle just a few grains of sea salt and cover with remaining chocolate batter. Bake until the tops are cracked but the centers are still gooey, about 13 - 16 minutes. Cool on a wire rack for 5 - 6 minutes. Run the tip of a small knife around each cake to loosen. Using a towel to protect your hands, invert a small plate over each cake and then invert again. Carefully lift off the ramekins. Dust with powdered sugar or dutched cocoa powder and serve immediately. It's blood orange season and that means some of the best of the citrus family are making their grand entrance. These beautiful bright gems have the perfect thirst-quenching balance of acidity and sweetness. Their colors vary from deep dark red to vivid bright orange. Part of the fun is slicing into them to discover each one's own unique and stunning surprise. Blood oranges originated in 19th century Sicily, popping up in America sometime in the 1930s via immigrants from Italy and Spain. The Moro is the most colorful and most commonly found in our markets. The skin usually has a dark red blush and the interior can sometimes be variegated. I've baked them here into little baby cakes scented with five-spice powder, a phenomenal combination of spices found primarily in Asian cuisine. Although the exact formulation of five-spice is as varied as masala chai spice mixtures in Indian culture, the five flavors that make up this spice are designed to cover the sensations of sour, bitter, sweet, pungent and salty. The most common blend combines fennel, cloves, cinnamon, star anise and Szechuan peppercorns. I featured it in three new recipes in my cookbook and love its use in pastry and desserts. 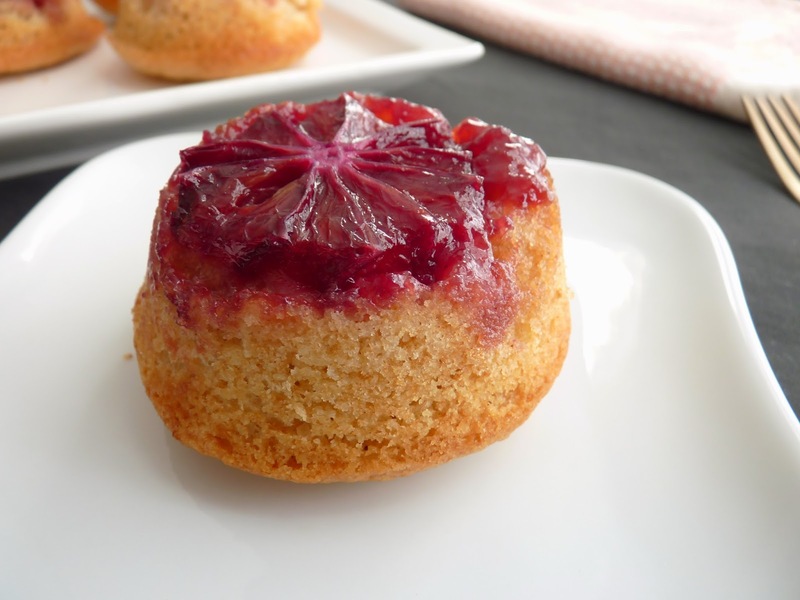 These little cakes mix and bake quickly and add a note of sensational color to your table, just the sort of thing we need at this point in the winter season. Sit back and enjoy a quiet moment of tranquility with a bite of spiced cake and dazzling luscious fruit. - I don't position the orange slices in the pan until I'm ready to portion the cake batter because I don't want the oranges to macerate in the sugar and create too much liquid. - If you can't find five-spice powder, substitute with a dash of your own favorite spice. 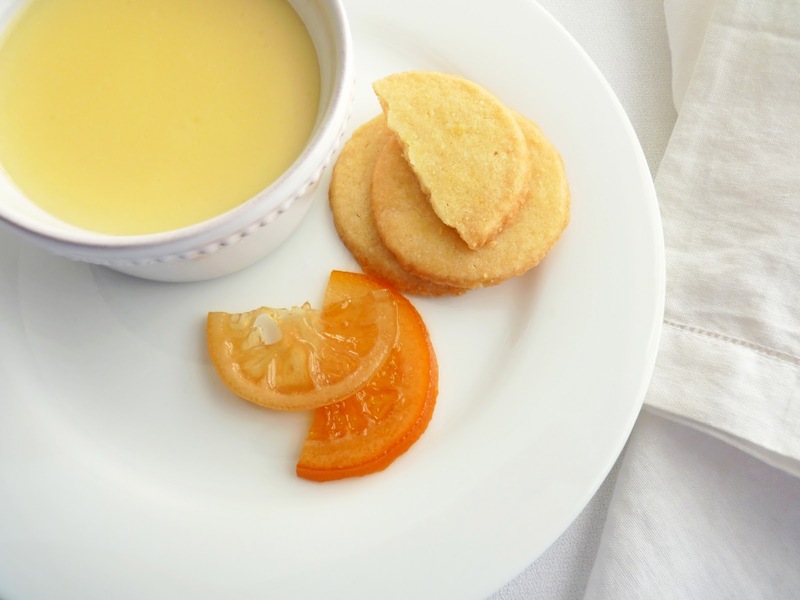 Common spices that go well with orange: cinnamon, cloves, cardamom. If you choose cloves, use about 1/4 teaspoon. - I use an ice cream scoop to portion the cake batter. - I think I'd like more orange per cake so next time I might chop the oranges and layer them in each well, adding a pinch more brown sugar before laying them down. Preheat oven to 350 degrees. Generously grease a standard muffin pan with melted butter. Sprinkle 1/2 teaspoon of brown sugar into each well. Set aside. Cut the rind off of the blood oranges, making sure to remove the white pith. Cut into 1/2" slices and set aside. Sift flour, baking powder, salt and five-spice powder together. Cream the butter and granulated sugar until light and fluffy, about 3 minutes, scraping down the bowl as needed. Add orange zest and vanilla and blend. Beat in eggs one at a time, mixing until thoroughly blended and scraping down the bowl before adding the next. Add one-third of the flour mixture alternately with half the milk, starting and ending with the flour. Scrape down the bowl to be sure everything is incorporated. Place a slice of blood orange in each well. Scoop the batter on top of each orange slice. Bake until the cakes spring back when lightly touched, about 20 - 22 minutes. Place on a wire rack to cool for about 8 minutes. 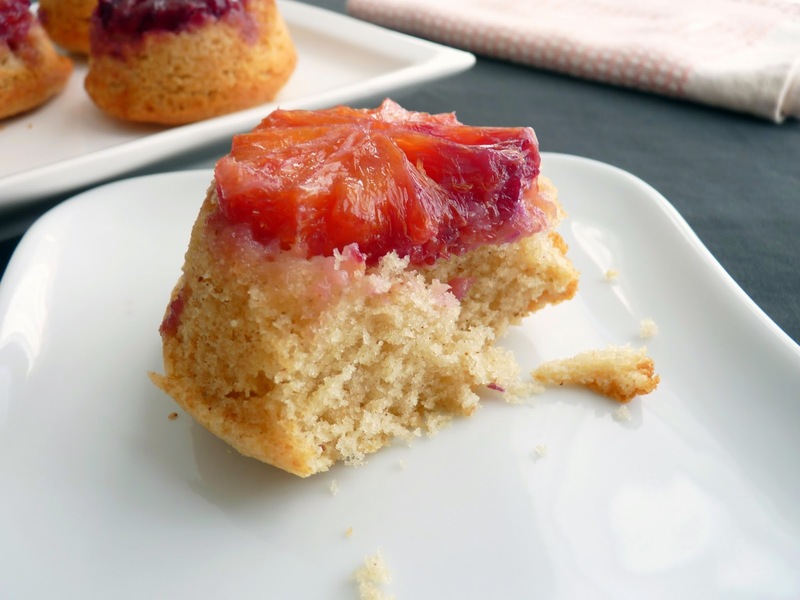 Run a thin knife around the edges of the cakes and gently push and lift up to loosen. Place a baking sheet over the muffin pan and carefully invert the pans to remove the cakes. Cool completely on a wire rack.